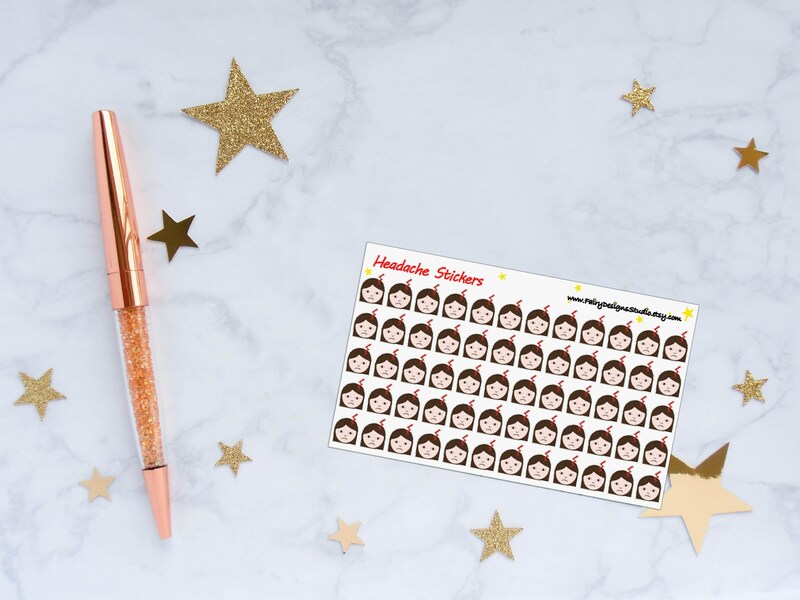 These Headache Planner Stickers are great for decorating any planner, scrapbook or any other project you desire. 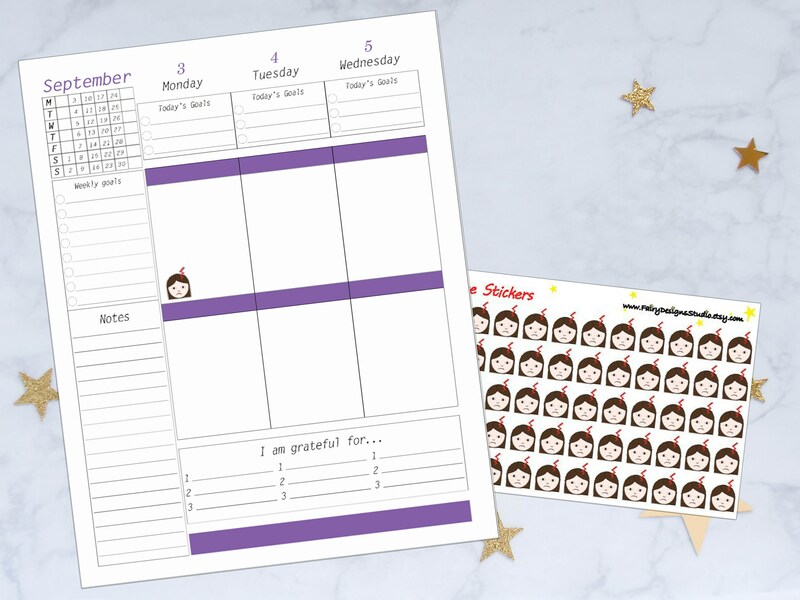 They are perfect fit for Erin Condren Life Planner or planners with similar measurements. We can personalize them for your, just send us a message on Etsy. 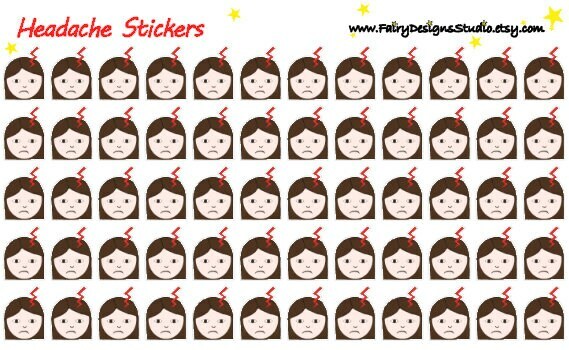 You will receive 60 stickers in total on 1 sheet. All our stickers are printed on high quality Vinyl Matt Self-Adhesive paper. They are non-removable, however you are able to reposition them if you work quickly. We recommend fine tip permanent markers or ballpoint pens for writing on these stickers. Our stickers are hand drawn and made to order. Please see shop announcements for any changes in processing times. If you have any questions, please feel free to message us on Etsy. We are open to custom orders. DISCLAIMER: Colors may vary due to a different settings on each monitor. 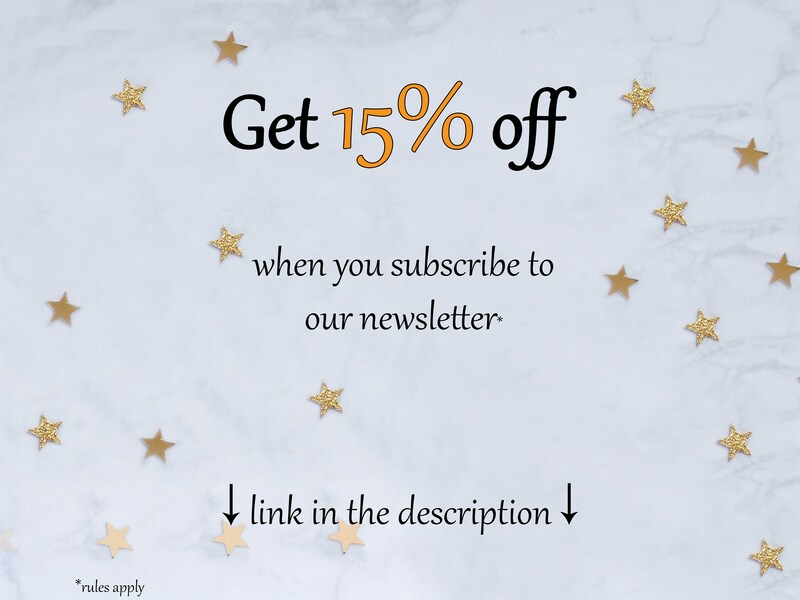 To fulfil your order, you must provide us with certain information (which you authorised Etsy to provide to me), such as your name, email address, postal address, payment information, and the details of the product that you’re ordering. You may also choose to provide us with additional personal information (for a custom order, for example), if you contact us directly. For purposes of EU data protection law, I, Alzbeta Vankova, am the data controller of your personal information. If you have any questions or concerns, you may contact me directly through Etsy using their conversation function. If you have any request for custom or personalised stickers, feel free to contact me. I'll always do my best to help you. It usually takes me 1-2 business days to get your orders ready for dispatch.